Portland is one of the most beautiful cities in the Northwest, it’s also one of the wettest. This means areas affected by water need constant care. The International Rose Test Garden is taken care of by a constant stream of volunteers for just this reason. At Northwest Weatherization we can put a stop to the danger, and prepare your home for any weather. When it comes to buildings, water can be a major danger. Buildings both new and old like the famous Pittock Mansion are susceptible to problems. 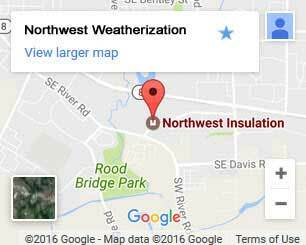 That’s why we offer a wide variety of weatherization services in Portland. 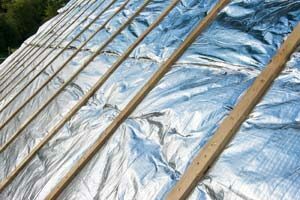 Though our primary focus is on directly insulating your home against the heat loss that occurs from gaps, drafts, poor insulation, and poor materials, our other services like vapor barriers directly help to remedy this problem while providing additional benefits. 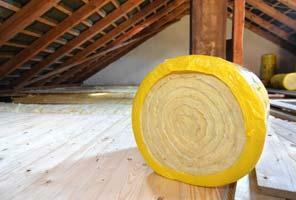 Insulation services for your Portland home. Our weatherization technicians in Portland are certified in PTCS. We buy high-volume materials directly from the manufacturer and can reduce costs accordingly. Northwest Weatherization will help you get every available incentive rebate to further reduce costs. Services add home value, reduce energy consumption, and pay for themselves over time. Vapor barrier and crawl space encapsulation. Air sealing and draft elimination. Contact us for Portland weatherization service today. It’s always a good time to increase the energy efficiency and comfort of your home. We can do it affordably, and even help you acquire a wide range of incentivized rebates! Just call or contact us today to schedule your free home energy audit.